Many of NACM’s Affiliates are involved in a national network to provide assistance in the rehabilitation (if possible) or liquidation (if necessary) of businesses in severe financial difficulty. Working in conjunction with the business and its creditors, this service is designed to provide the business with the opportunity to re-establish its financial credibility through time and planning, or to assist in ceasing its existence while minimizing losses to its creditors. The quick, efficient and cost-effective alternative to bankruptcy, NACM Affiliates provide forums and facilities to rehabilitate, if possible, and liquidate, if necessary, the affairs of financially distressed companies as a viable option to Bankruptcy Court proceedings. These alternatives are often less cumbersome for all involved and are less expensive—which means more return to creditors and more money left in the business to regain its footing. While courts can take several months or more to get a reorganization plan started, NACM Affiliates can assist in getting a plan approved in as little as 30 days. Most helpful is the knowledge that experienced professionals are ready to step in at the most difficult time. 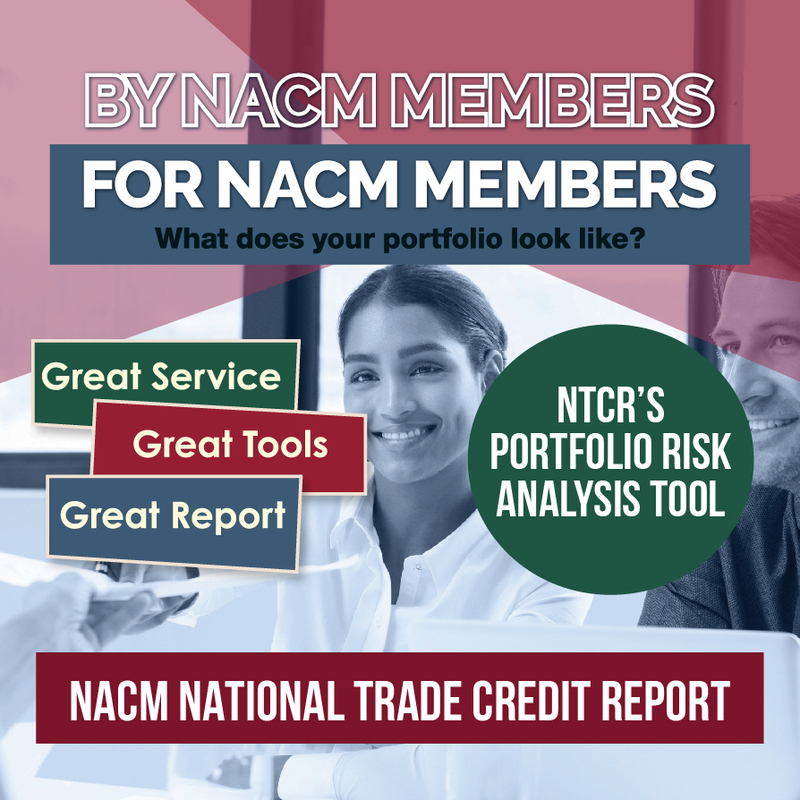 NACM Affiliated Association staff members can serve as secretary to creditor's committees, provide other needed advisory services, and are fully aware of the prevailing laws and regulations relevant to each situation. Business Estates Services: Provided to the business and credit community since the early 1900s. NACM Affiliate Adjustment Bureaus provide support in connection with the reorganization of every type and size of business, in both out-of-court arrangements and in Chapter 11 bankruptcy cases. Meeting of Creditors: When management of the debtor business agrees to convene a meeting of its creditors, NACM Affiliated Association Adjustment Bureaus can provide a comprehensive list of creditors. Through Adjustment Bureaus, all known creditors are invited to the meeting. The Bureau urges management to bring to the meeting copies of current, comprehensive financial information to enable those in attendance to understand the financial condition of the business and its prospects for rehabilitation. Out-of-Court Arrangements: Affiliate Adjustment Bureaus help supervise the affairs of businesses in financial difficulty—to rehabilitate when possible and to liquidate when necessary—in an economical, timely and businesslike manner. NACM Adjustment Bureaus work closely with an elected creditors’ committee in administering each case. Compromise Settlements: A compromise settlement is an arrangement in which creditors agree to accept less than the total amount of their claims in full settlement of the debt. The settlement must be fair—in an amount equal to or, preferably, greater than creditors could expect to receive under a liquidation of the business—and must also be offered without discrimination to all creditors of the same class. The funds for the settlement usually come from a third party. Such an approach can provide early cash to creditors and allow a distressed business to continue to serve its customers and employees. To ensure equitable recovery by all creditors, funds for the settlement are deposited in special trust funds with and distributed by the Business Estates Bureau. Extension Agreements: Some businesses may not have the ability to generate sufficient cash to settle with creditors, but the business may be able to become rehabilitated and repay creditors over a period of time from funds generated by continuing operations. The key to success in this type of case is an extension of time granted to the company within which to repay creditors. The terms and conditions of extension programs are negotiated between the business and a creditors’ committee, with the assistance of the Bureau. Once an agreement is reached, Affiliated Association Adjustment Bureaus provide a written report detailing the debtor’s proposal to all creditors for their review and consent. During the extension period, regular payments are received by the Bureau and deposited in special trust funds for periodic distribution to all unsecured creditors on a pro-rata basis. The Bureaus work with the creditors’ committee in monitoring the debtor’s operations and keep creditors informed, by way of written reports, of the status of the debtor’s operations and its compliance with the terms and conditions of the extension agreement. General Assignments for the Benefit of Creditors: Some businesses cannot continue to operate and must, therefore, be closed and their assets liquidated. As a method of concluding the affairs of a business, the general assignment is faster and more economical than bankruptcy for the creditors of the debtor business. Occasionally, the NACM Adjustment Bureau, as assignee, will operate the business for a short period of time in order to complete work in process or to attempt to sell the business as a going concern. Affiliated Association Bureaus hold the funds generated from the liquidation in trust, pending verification and satisfaction of secured claims and identification and payment of statutory priorities, after which remaining funds are distributed to creditors on a pro-rata basis. Chapter 11 Bankruptcy: NACM Affiliate Adjustment Bureaus work closely with debtors and creditors involved in Chapter 11 reorganizations. Bureaus serve as secretary to the official Chapter 11 creditors’ committee and as the designated disbursing agent under plans of reorganization. NACM Bureaus provide special services to its membership with respect to filing claims with the Bankruptcy Court. NACM Adjustment Bureaus can also provide written status reports regarding ongoing bankruptcy cases for a modest fee. Adjustment Bureau Staff: NACM Affiliated Association Adjustment Bureaus are staffed by full-time, experienced, bonded personnel. Adjustment Bureaus provide an inexpensive and efficient method of providing for the rehabilitation or liquidation of insolvent businesses. Full accountability for funds received and disbursed under out-of-court arrangements and Chapter 11 bankruptcies are made periodically to the appropriate parties. To find an Affiliate in your area click here.